When you’re looking for a fall RV destination that doesn’t involve a cross-country road trip, San Antonio Missions National Historic Park should be on your travel radar. The park includes four breathtaking Spanish colonial missions — San Jose, San Juan, Concepcion and Espada — that are all open for your exploration. The San Antonio Missions National Historic Park has been preserved to teach visitors about the people of South Texas who sought survival in missions as attacks, disease and drought threatened their lives. It was in the missions at this national park that their traditional lives, religion and culture changed. It’s hard to summarize all there is to see and do at San Antonio Missions National Historic Park, but you should plan your stay for at least a half day if possible. Guided tours of the missions, demonstrations, native natural habitats, trails and movies are just a handful of the many indoor and outdoor sites there are to enjoy. The four churches within the park are active parishes, and if you time your visit correctly, you could enjoy a Catholic service within their historic walls. The San Antonio Missions National Historic Park is located in San Antonio, and all of the missions are connected by urban roadways. Drive along the Mission Riverwalk from downtown to Mission Espada, then you can continue north along the roadways to the various other missions. The park is open all year from 9 a.m. to 5 p.m. It’s closed on Thanksgiving Day, Christmas Day and January 1. The park is completely free to visitors, and reservations are not required for individuals or small groups. Educational groups, youth groups and large adult groups are expected to make reservations, so the park staff can prepare. Fall is the perfect time to visit San Antonio Missions National Historic Park with milder temperatures and substantially milder crowds. Start your RV road trip right here at CCRV — your local south Texas RV dealer — and we’ll take care of all of your RV lifestyle needs from sales and services to parts, camping supplies and so much more. One of the best parts of the camping lifestyle is gazing at the stars from all of the breathtaking places you visit across the country. And knowing what you’re looking at makes it even more enjoyable. The following are a few tips to help make your nights in the wilderness, looking at the sky, even more enjoyable. Where you are matters a lot when looking at the stars, and Dark Sky Parks are some of the best places in the world to admire them. Dark Sky Parks are parks or public lands around the world with exceptionally starry skies. They are places where the nighttime environment is carefully protected for stargazers. Log onto the International Dark Sky Association website to locate a park you can visit on your next road trip. Don’t let your technology keep you inside at night, but the internet is a great way to locate a stargazing chart. Print out an easy-to-use, daily chart (like the ones at EarthSky.org) for your first adventures. As your stargazing skills advance, you can purchase more complicated charts at outdoors or science-related stores. Patterns in the stars become noticeable when you gaze at them for a while. You can easily learn the constellations by paying close attention to patterns and the other patterns that are nearby. Start with the stars and patterns you know and advance to new ones as they become easier to identify. Look for straight lines, curves and triangle shapes in the stars. Like most things, the only way to get better at stargazing is to practice. Head outside to watch the sky as often as possible, and you’ll notice your stargazing skills improving immediately. The RV lifestyle is one that takes you to the most remote and beautiful places, and those are the best places for stargazing. Start your new camping lifestyle by visiting us at CCRV to tour any model or floorplan in the inventory and find your dream RV today. Beat the summer tourist crowds and visit South Texas in spring. It’s one of the best times of year to visit Corpus Christi and other Texas beach towns, and these must-visit outdoor events happening around the area make it even better. Get in shape for summer every Friday in May at Free Yoga Fridays. This heart-healthy event takes place every Friday at Cactus and Vine from 6 p.m. to 7 p.m. Visitors are welcome to enjoy the free yoga class, socialize, relax and even enjoy some of the best craft wines in the area. Cactus and Vine is located at 2115 Ayers St., in Corpus Christi. The Fiesta de la Flor celebration is a city-wide get-together in celebration of Corpus Christi’s Selena Quintanilla Perez. The festival, featuring a number of live musical performances at North Bayfront Park in Corpus Christi, is two full nights of Texas-style family fun. The performances will take place on May 6, from 5:30 p.m. to 12 a.m., and May 7, from 10 a.m. to 12 a.m. Don’t forget to bring your wallet, because the festival also features a pedestrian mall full of vendors and a street festival. Help out a worthy cause while having a blast at the South Texas Lighthouse for the Blind Rubber Duck Round-Up. This fun-filled annual event features tons of family-friendly activities, including a petting zoo, bounce houses, live music, games, prizes, pony rides, face painting and chances to win tons of great prizes. However, the most anticipated event of the day is the must-see annual Rubber Duck Race. The event will be held on May 28, from 10 a.m. to 1 p.m., at Cole Park. There’s no better time than now to purchase your dream RV. Stop in and see us at CCRV in Corpus Christi to tow or drive a top-quality RV away for an unbeatable price today. You don’t have to be an artist or experienced crafter to pick up a new hobby for your life on the road. In fact, there are a number crafting hobbies that are easy and inexpensive to start. The following are a few easy crafts you can start enjoying on those long, rainy travel days. Needlework is a hobby for patient crafters, but it’s incredibly rewarding. Start small with a basic cross-stitch or embroidery set, and you’ll quickly catch on to this addicting hobby. Try black and white patterns for a more budget-friendly approach and stick with small, basic patterns for your first creations. Painting isn’t just a hobby for experienced artists. Try painting by numbers to enjoy an addictive hobby that’s also rewarding. There are countless painting by numbers sets available online and at craft stores, and crafters can choose from those using water color paints, acrylic paints and other mediums. Choose a design you like, and you’ll soon have a gorgeous painting hanging on your RV’s wall. Those who enjoy painting by numbers may also enjoy coloring printouts. Have images printed, then color them in with your painting by numbers skills with acrylic paints or charcoal (for black and white photos). This is an easy way to enjoy and display your own photos in a more exciting way. Some of the most rewarding crafts are those that create something you can use. Try making your own soaps by melting old soaps and adding oils and other ingredients for smells and exfoliants. Or use an online tutorial to help you create your very own brand of soap. Collecting scents and other soap ingredients will become another fun part of your travel adventures, and you’ll soon have soaps with ingredients from all of your destinations. Searching for an RV with more space for your favorite crafts? Stop in and see us right here at CCRV in Corpus Christi to find your dream RV for an affordable price today. January is National Hobby Month, and there’s no greater hobby than that of RV travel. However, the RV lifestyle can be paired with a long list of other hobbies to make every day in the great outdoors an exceptional one. The following are four hobbies that will work well with your life on the road. Hiking is an outdoor hobby that’s ideal for all levels of athletes, from beginners to expert adventurers. It’s an activity that will encourage you to get outside and explore each place you visit. Start with short, flat trails and advance to more uneven trails and hills that will help you burn calories and stay fit on the road. Convinced you need to go to school to learn a new language? Your RV can be your very own language school on wheels. There are a number of esteemed audio programs on the market to help you learn a new language, so you and your entire family can hone a new skill while cruising down the road or lounging at the campsite. Geocaching is a somewhat new outdoors activity that has expanded to nearly all parts of the world. Wherever you travel, you can engage in unique scavenger hunts that guide you to special caches, or treasures. Geocaching is fun for kids and adults, so it’s an activity you can enjoy alone or with your entire family. Blogging is more than a way to keep track of your travels and inform your friends of where you’ve been. It’s a hobby that can even help you earn a living on the road. Choose a special niche, such as four-season RV travel or traveling in an RV with kids, and you may find yourself with a long list of followers, and ultimately, paid sponsors or advertisers. Start the ultimate RV lifestyle right here at CCRV. Our lot is packed with all of the latest and greatest new and used RVs for unbelievably low prices for 2016. There’s something about heading to a tropical paradise that makes spring break so much sweeter. But you don’t have to buy expensive plane tickets to see towering palm trees and turquoise waters this spring. Key Largo, the first island in Florida’s Keys, is easy to access, full of RV parks and the perfect place to enjoy an array of warm-weather outdoor activities. Whether you’re into fishing, paddleboarding, beachcombing, boating, kayaking, birdwatching or shopping, you’ll find exactly what you’re seeking in Key Largo. It’s hard to believe that Key Largo has remained so affordable and uncrowded with such gorgeous surroundings. RV enthusiasts can park their RVs for the weekend and enjoy dolphin encounters, world-class diving and snorkeling, eco-tours, incredible fishing, golfing, breathtaking beaches, an array of dining options, spa treatments, parasailing and just about every activity you’d expect in much more expensive tropical destinations. Easy access to other islands, like nearby Islamorada, opens up an even bigger array of activities and tropical sights. The Keys offer endless amounts of fun away from your campsite, but it may be tough to leave the campground when you have beaches, pools, hiking trails, bocce ball courts and tons of other amenities on site. The Key Largo Kampground and Marina offers RV enthusiasts water access, 40 acres of tropical foliage, two convenient beaches, a swimming pool, free WiFi and tons of on-site activities to keep you and your fellow campers busy from sun up to well beyond sun down. Key Largo is known for its laid-back atmosphere that immediately relaxes everyone who visits. There’s no better place to kick back at one of countless waterfront restaurants to enjoy live music, delicious seafood and tropical drinks. If you’re looking to let loose this spring break, Key Largo is ready to help you unwind. Before you make the road trip to Florida this spring break, stop in and see us CCRV in Corpus Christi. We have all of the RV parts, accessories and camping supplies you need to enjoy the best spring break ever. Texas is known for it’s bigger-than-life, cowboy lifestyle, but many people don’t know that the Lone Star State has a soft side too. With charming cities, romantic beaches and great outdoor getaways, Texas is the perfect place to spend your Valentine’s Day. Consider these romantic getaways in your RV this February, and you and your loved one will probably enjoy the best Valentine’s Day yet. CCRV’s hometown of Corpus Christi just happens to be one of the most romantic places in the state. Wide open beaches mesh with award-winning seafood restaurants and luxurious resort-style RV parks that are the makings of an unforgettable Valentine’s Day. Make your dinner reservations early because on-the-water restaurants, like the famous Landry’s Seafood House, tend to fill up quickly. Austin is becoming one of Texas’ biggest hot spots, and the Capital City offers a slew of mouth-watering restaurants, top-notch hotels, endless shopping, unforgettable sights and a little bit of everything for every type of traveler. Animal lovers will fall in love with the Austin Zoo, outdoor enthusiasts will be swooned by Lady Bird Lake and the downtown scene is guaranteed to spark romance and plenty of fun. History, the outdoors and the gorgeous Gulf of Mexico are combined on Galveston Island. Galveston offers awe-inspiring Victorian architecture and so much history, you can’t help but be a hopeless romantic when you’re roaming the town. Quaint shops, cozy restaurants and historic buildings mesh perfectly with full-service resorts, posh eateries and outdoor adventures like kayaking, deep-sea fishing and diving. Whether you’re seeking a relaxing getaway for two or a weekend of action-packed beach adventure, Galveston is a destination that will surpass your expectations this Valentine’s Day. Don’t forget to stop and see us at CCRV in Corpus Christi for all of your RV needs this Valentine’s Day. Whether you’re searching for some new camping supplies for your RV getaway or are shopping for a new or used RV this season, our qualified staff members are here to help six days a week. There’s no better place to spend Halloween than at a spooky haunted house. And wherever you are in Texas, there’s probably one nearby. From freaky attractions not designed for the faint of heart to kid-friendly haunted attractions, you can find the perfect Halloween destination right here in your home state. The Cutting Edge Haunted House in Fort Worth was voted the scariest haunted house in all of Texas by Hauntworld Magazine, and it certainly lives up to expectations. 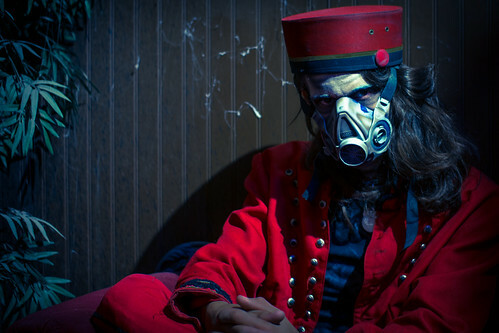 The Cutting Edge Haunted House is especially terrifying because of its live actors, special effects and creepy monsters. It’s location, in a dark, abandoned 100-year-old meat packing plant, makes it even scarier. Tickets can be purchased online with a credit card ahead of time or at the door in cash for $10 per person. When you’re looking for the ultimate haunted house experience, the Thrillvania Haunted house park, featuring four attractions on roughly 50 acres, is the place to be. Purchase a ticket to all four attractions, and you’ll gain access to The World Famous Verdun manor, Cassandra’s Labyrinth, Sam Hain’s Trail of Torment and Thorn Hall. There’s something for everyone to enjoy at Thrillvania, so pick up your All Attractions Thrill Pass online or at the opening gate. The 13th floor doesn’t even exist in many establishments, but it certainly does in San Antonio. This terrifying haunted house features two attractions, Groundup & Spit Out, and the Dwellings of the Dead, to please all of your spooky desires. The 13th Floor Haunted House was designed by the best haunted house designers in the country and features intense theatrical performances and unparalleled effects. The haunted house also takes place indoors with partial indoor waiting, so don’t let your Halloween be destroyed by the rain. There’s no better place to get all of your Halloween camping supplies than right here at CCRV — your south Texas RV dealer. With everything from new and used RVs to parts, supplies and service, we’ve got everything you need to enjoy the best fall camping season in Texas yet. While many North Americans are sulking about heading back to school and colder weather on the horizon, south Texas is just heating up with hot fall activities. And with so many awesome Oktoberfest celebrations here in Texas this season, you’ll want to start planning your next RV vacation today. The Wurstfest “Ten Day Salute to Sausage” in New Braunfels attracts over 100,000 attendees for 10 days of German food, festivities and plenty of beer. Art and craft shows, live music, dance contests and a ton of sausage dishes are just a few of the many German-influenced events you’ll enjoy at this anticipated event. Wurstfest takes place Nov. 7-16 this year, so you can enjoy a late season, warm-weather RV getaway packed with excitement. 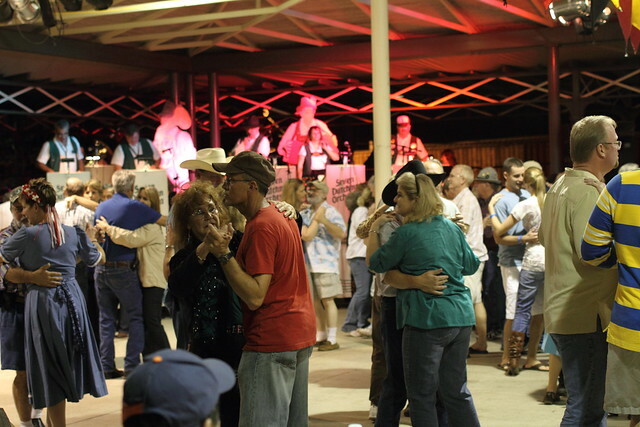 The Fredericksburg Oktoberfest is one of the largest Oktoberfest celebrations in the entire United States, and it has become one of Texas’ most anticipated fall events. The Bavarian-style events span one entire weekend and include tons of German foods, artistans, live music and exciting competitions. Although, Fredericksburg doesn’t completely throw its Tex-Mex roots aside for the event, as they still serve traditional Tex-Mex favorites alongside the German fare. This year’s event will be held around the Market Square at 100 West Main St., from Oct. 3 through Oct. 5. If you can’t make it to Texas’ biggest Oktoberfest festival in Fredericksburg, the Texas Renaissance Festival is the perfect place to show your German spirit. Traditional Bavarian dances, German meals, live music, a huge selection of German beer, hand-crafted wines, 400 shops and vendors, demonstrations and kids activities are just a few of the many treats and events to enjoy. This year’s Texas Renaissance Festival kicks off on Oct. 11 and takes place every weekend through Nov. 30. Stop by CCRV — your go-to south Texas RV dealer — to ensure your motorhome, travel trailer or fifth wheel is in top shape for the fall RV season. Browse our huge selection of new and used RVs for sale, have some scheduled maintenance performed or pick up a few camping supplies to make this RV season the best one yet.